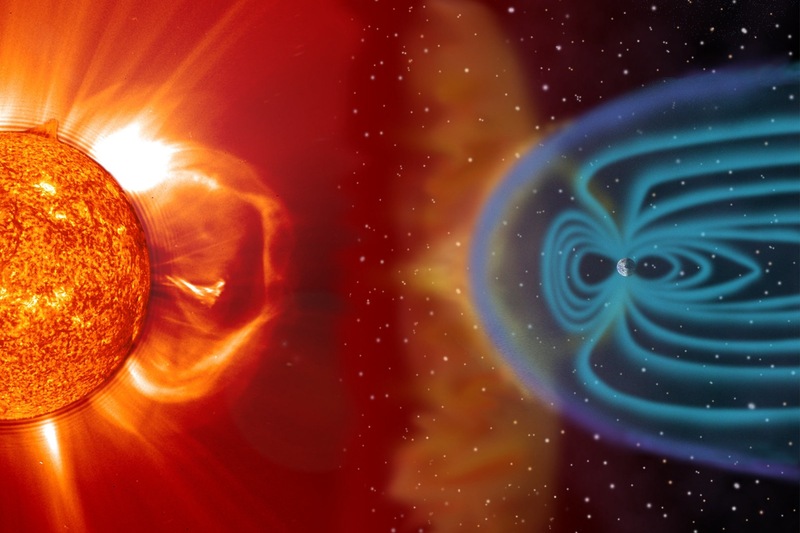 The sun is set to reverse its polarity in the next few months, something that occurs at the height of every Solar Cycle. The resulting ripple effect will be felt all across the Solar System and will even be detectable by the far-away Voyager probes. However, scientists are telling us not to fret, as this event will not lead to the end of the world. In addition, from a human perspective, the effects of the field shift will likely be slight and even beneficial. 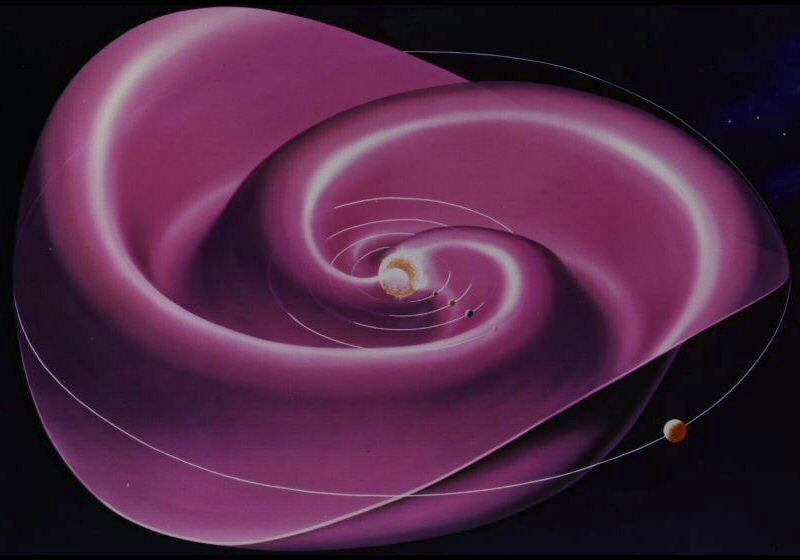 For example, the polarity reversal will cause the “current sheet” – an enormous surface extending out from the solar equator on which the sun’s rotating magnetic field has induced an electric current – to become much wavier. This crinkled current sheet, in turn, will provide a better barrier against galactic cosmic rays, high-energy particles that are accelerated to nearly the speed of light by faraway star explosions. Galactic cosmic rays can damage spacecraft and hurt orbiting astronauts who don’t get to enjoy the protection of Earth’s thick atmosphere. So for space exploration, at any rate, this is certainly good news. According to Todd Hoeksema, director of Stanford’s Wilcox Observatory, a drop in galactic cosmic ray levels could also have a subtle impact on weather here on Earth. One of the things that helps clouds form and lightning to flash is cosmic-ray ionization of things in the Earth’s atmosphere. So when the cosmic-ray intensity is lower, it means you have fewer places where lightning will occur, and so the storms will probably be a little less intense. He added, however, that it’s pretty much a speculative endeavor at this point, as no conclusive link has ever been demonstrated between cosmic rays and the weather. 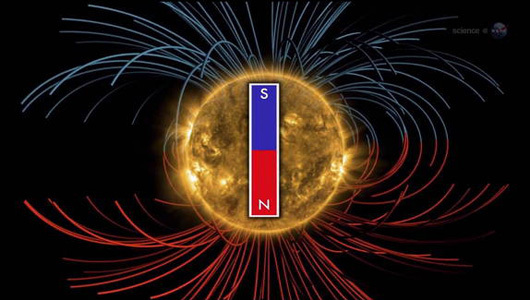 In any case, during a reversal, the sun’s polar magnetic fields weaken all the way down to zero, then bounce back with the opposite polarity. Researchers will keep a keen eye on just how strong this recovery is over the next two years or so. 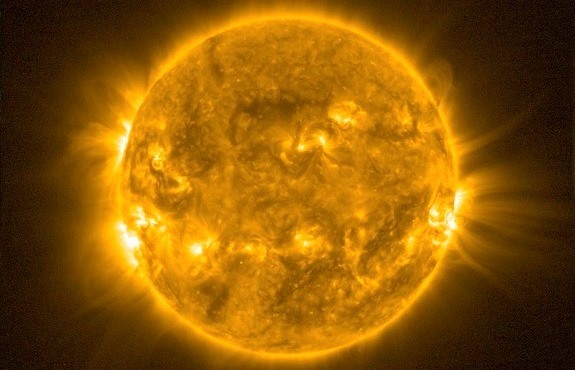 The sun has been quiet during its current 11-year activity cycle, which is known as Solar Cycle 24. So it would be particularly interesting to see a strong field emerge after the impending flip. If it quickly goes to a high value, then that tells us the next cycle will be high. We’ve had several of these solar minimums, and each time the polar field has been weaker. And each time, the next cycle has been a little bit weaker. So it would be nice to see one where the polar field strength was higher, and the next cycle was higher as well. So rest easy, folks. No apocalyptic scenarios are likely to result from this latest, all-too-common solar phenomena. If anything, it will provide research benefits for scientists and aid in space exploration – especially for companies looking to mount missions to Mars in the next 11 years and trying to figure out a way around that tricky radiation problem. But at least there’s a helpful video provided by Space.com. Enjoy! The Future is Here: Memory Implants Now Possible!